Environmental and esthetic considerations aside, does it make economic sense to install photovoltaic solar panels on your roof using the current technology? The short answer for the near term is yes, but just barely. However, solar technology is rapidly advancing, and so is the cost of electricity, so in the long term there is no doubt whatsoever that electric generating solar panels are the way to go. 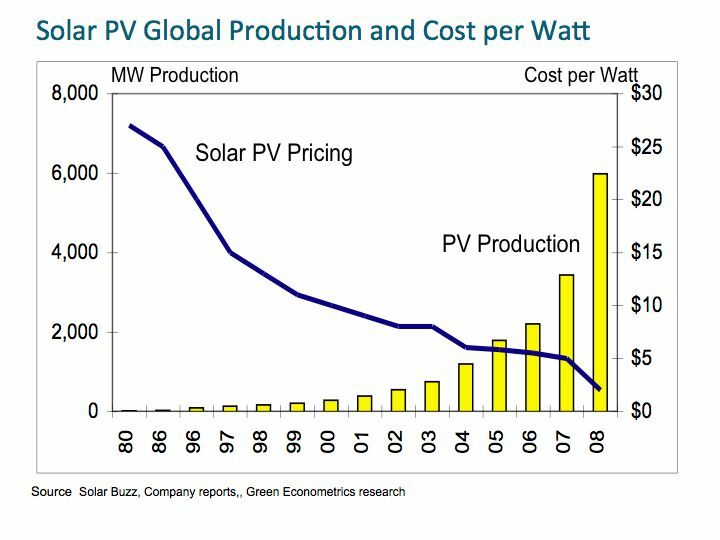 With today’s technology, solar panels do not make economic sense without subsidies by the government. There is a federal tax credit in the amount of 30% of the cost to install photovoltaic solar panels. That means that with a typical size 5 kilowatt (kW) solar array costing $25,000 to install, you will receive a direct deduction of $7,500 from your income tax bill. This tax credit can be carried forward if you don’t use it all in one year. In addition, the state of Maryland will give a $1,000 grant towards the cost, and most Maryland counties will give a credit for one year of property tax. Lastly, there is no sales tax added for the purchase of solar panels. One cost offset to all of these incentives is that the roof under the solar array must have a life expectancy of at least 25 years, so those homes with older roof shingles will have to have them replaced before installing the solar array. Another plus is that if the solar array generates more electricity than you use on any particular day, then the surplus electricity that flows back into the grid will reverse the electric meter resulting in a credit against your electric bill. This is called net metering, and has been approved in the state of Maryland. There are even more positives that contribute to your return on investment for solar panels. The assessed value for property tax does not increase due to the cost of installing a photovoltaic system. However, sales records for homes with these systems show that buyers are willing to pay more for a home with solar panels. Some state governments, Maryland included, are requiring utility companies to generate a percentage of their electric through non polluting sources like solar power. One way the utilities can do this is by purchasing Solar Renewable Energy Credits (SREC) from homeowners who have installed photovoltaic solar arrays. One SREC credit is paid for each 1000 kWh of electricity generated. The value of SRECs varies depending on market conditions, and in Maryland, it’s about $132 per SREC. A typical 5 kW system will generate about 5,800 kWh per year, or about $792 in SREC payments. Homes in Maryland are good candidates for photovoltaic systems. Per the Normal Solar Radiation Map of the US, sunshine reaches the ground in Maryland, between sunrise and sunset, 57% of the time. Maryland has 105 days per year that are considered clear, with at most 30% cloud cover. 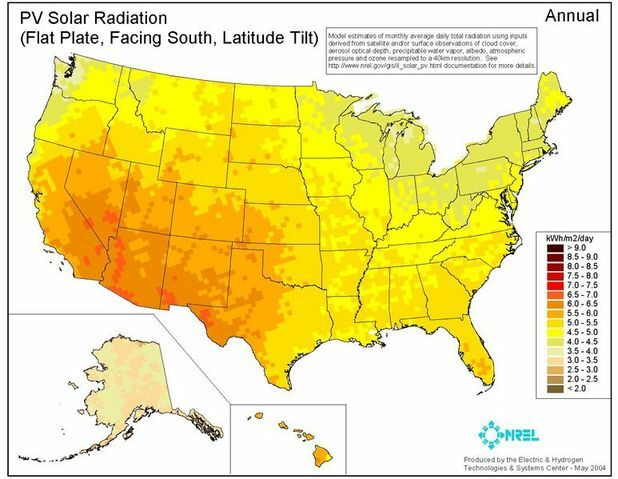 According to the Solar Insolation (full sun hours) Map of the United States, Maryland has an average of 4.2 full sun hours per day, which isn’t bad considering the sunny state of Arizona has an average of 5 full sun hours per day. At today’s energy cost in Maryland (about .14 per kWh), it will take approximately 10 years to recover the $25,000 cost of the 5 kW solar array, taking into account the federal tax credit, Maryland grant, property tax credit for one year and SREC payments. After that, the homeowner will reap the benefits of lower electric bills for the next 15 years, which is about the lifespan of the solar array. If you don’t want to lay out, or borrow, the 25K to purchase the system, you can contract with a solar panel supplier to install the solar panels at no cost, and you pay them a monthly fee to lease the solar array. The solar panel supplier receives all of the tax benefits, grants and SREC payments. The homeowner pays the lease payment to the solar company and a much reduced utility bill payment. The combination of the monthly lease and utility payment should be less than the monthly utility bill payment before solar panels were installed. I believe that the return on investment is greater if you purchase rather than lease. The typical size of a solar array is 5 kW, and is comprised of 25 solar panels, approximately 3.5’ wide by 5’ high. If the panels are placed on a roof, you will need an area of about 25’ x 20’. In Maryland, a 5 kW solar array will generate, on average, about 5,800kWh per year, or 483 kWh per month. Using this figure, you can calculate your monthly savings by multiplying 483 kWh times the BGE average utility rate of .14 per kWh, which equals about $68 per month, or $816 per year. The annual savings of $816 is the amount, at today’s electric cost, you would pocket after the payback period of about 10 years. Since the life expectancy of the solar array is about 25 years, your total savings would be 15 times $816, or $12,240. Assuming electric rates increase over the years, it is safe to say that your savings will also increase. The average home uses at least 11,000 kWh per year, and would require a 10 kW solar array to supply enough power for all of the home’s needs. The best way to determine how large a solar array is practical for your home would be to contact a reputable solar panel installer and have them do the calculations based on your particular home and location. 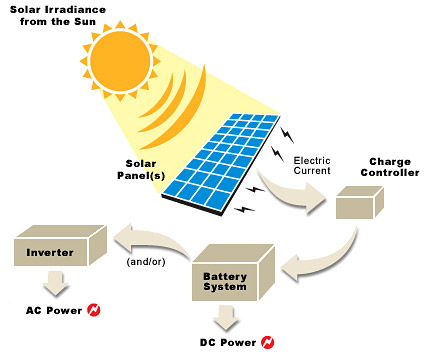 In most cases, the photovoltaic system will not supply 100% of your energy needs. We’ve been throwing around this acronym kWh in our discussion, so what is a kWh anyway, and how does it relate to electricity usage? Let’s start with the fact that electric power is measured in watts and electric consumption is measured in kilowatt hours or kWh. Now let’s look at an example. A 100 watt (W) light-bulb consumes 1 kilowatt hour (kWh) of electricity if left on for 10 hours (i.e. 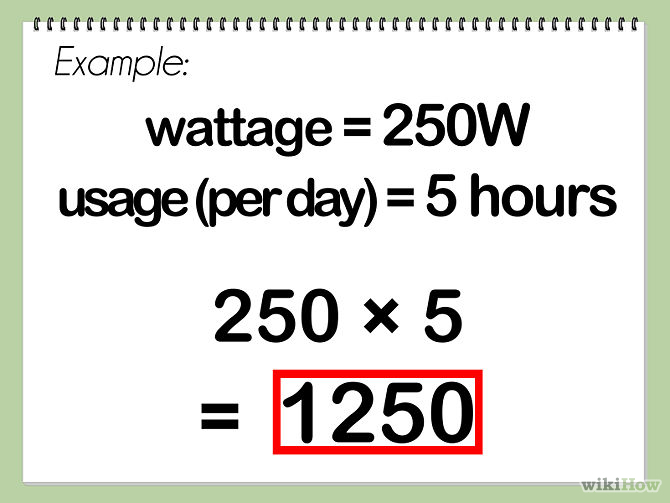 100 W x 10 hrs = 1,000 Wh or 1 kWh). 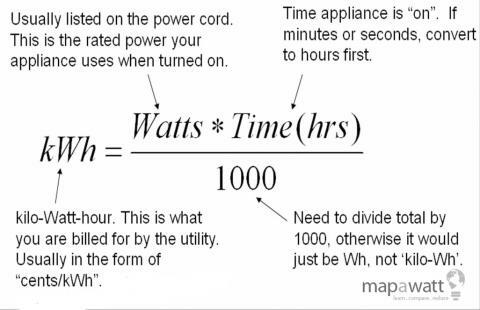 So 1 kWh equals 1000 watts. If you check your electric bill you will see the total kWh you used for all of your power needs over a time period of approximately 30 days. Now you will be able to make more sense of those yellow energy guide stickers you see on new appliances that tell you how many kWh are used by that appliance per year. So what does the future look like for PV systems? A lot of research is taking place to find materials that will more efficiently convert the energy of all of the wave lengths of white light into electricity. Right now, silicone solar cells only absorb a narrow wavelength band of solar light for conversion into electricity. Other researchers are looking at stacking or layering different semi transparent materials inside solar panels that will more efficiently absorb the sun’s energy and convert it to electricity. Thin film solar technology has the potential to be used in building materials, such as windows, siding and roofing, giving these surfaces electric generating capability. The challenge is that these materials have to be inexpensive to manufacturer and process to keep the cost of solar panels at a reasonable level. The potential benefit is well worth the effort when you consider that every day the sun provides enough light energy to meet the daily energy needs of the entire world.